New weekly Japanese DSLR sales rankings. The Sony A550 is on place 23. The Sony A330 on place 33. New Sony A550 review at reghardware! 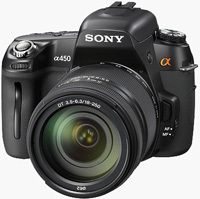 And click here to check the Sony A550 configurations and price at amazon . The Sony TX7 in Stock at amazon . The red TX7 cost you $389.97 only . (SR4) Sony product strategy revolution. Since five months I am working to get interesting news and rumors for you. I am happy to see the latest rumors we posted came true. Some of our sources proofed to be good and now I post you what they told me during the last weeks. I hope they will be also right this time! UPDATE: Remember this is a “rumors” website. We are not affiliated with Sony and we don’t get the infos from them. Our rumors can be wrong. So please take it easy ok? The first thing I can tell you is that BIG changes are coming!!! Since almost two years Sony is working on a top-secret mirrorless system. One of our sources told us “As it is no other word other than mirrorless product is coming, and right soon“. Another source told us that “the EVIl cameras will have proper video function, unlike the competition.“. Expect APS-C cameras to be announced in Q2. There will be more of it in 2010. And we can’t forget the rumor posted yesterday which says that the mirrorless camera will have “Zeiss licensed lenses“! 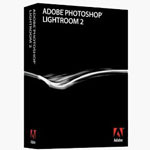 And “The EVIL line will be performing as well as FF does, only DOF will be less shallow and sensitivity lower.“. 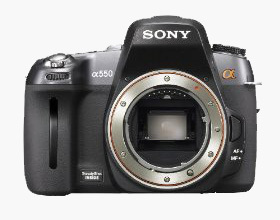 “The Sony A700 replacement will not likely be at PMA. It will be hinted at PMA, maybe, but I don’t expect to see or hear of it before the summer, if not early fall. I know that’ll disappoint a lot of people but I think once 2010 pans out, and everyone sees where Sony’s looking to go, they’ll be happy. It’s just going to take a little time for everyone to see the bigger picture.“. Another source told us that the A700 successor “is not just a successor… it is a completely new type of camera“! In the meanwhile we received a triple confirmation from different sources that Sony made a “beta version” of the A700 successor with pellicle mirror. Sony plans to have two major lines in the future, one is APSC size EVIL line and the other is FF 35 mm. “Expect new high end FF cameras and lenses“. And it isn’t a secret anymore that Sony next High-End FF camera will have over 30 Megapixels. Sony will this year show down their 35 mm 4K Cine Alta, as well as 3D video cameras. Send us your rumors! Follow us! I am sure we will have more news and rumors soon. Feel free to contact me at sonyalpharumors@gmail.com. I can keep you anonymous if you want. You can also use the form on the right sidebar! P.S: And a BIG thanks goes to anyone who helps me by sending news and rumors! SonyAlphaRumors has more details which we will post tomorrow (We have to wait for a last confirm). What they liked most is the reliable autofocus in such difficoult light conditions.